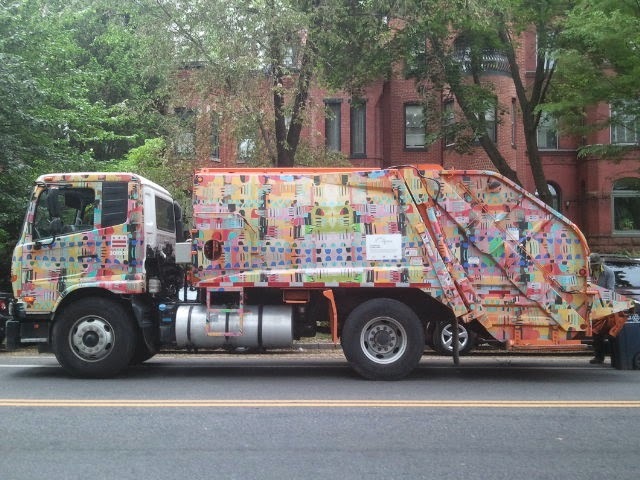 Granted this is many years after the idea was first pioneered in Philadelphia, and I still think it would be better to use garbage trucks as rolling billboards to promote urban-relevant environmental messages, but it's more attractive, in any case, than a straight up garbage truck. 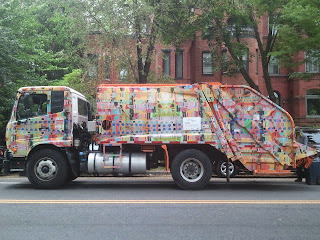 Just back from a vacation to Vietnam and the trash trucks in Hoi An play ice cream truck music. Very festive!